A part of being a Finn is to swear. While it is at times considered to be immature or impolite, using swear words can help the user bring out the nature of their opinion. Finns do not typically (at least to my experience) use intonation in their speech which sometimes makes the interpretation slightly inconvenient. Used at the right time cuss can strengthen ones point, but it’s not a part of proper business etiquette, especially in customer-oriented situations. Arguably perkele is the best known Finnish swear word. It may originate from the name of the god of thunder Perkwunos, or Ukko in Finnish pagan pantheon. It was used originally as a cry for the god of strength (Wikipedia). Usually perkele is used in situations which require strength, both physical and mental. The word even sounds strong, although it may be a learned thing or because it’s often said with strong emphasis. Perkele. As shown in the video above, perkele and other curse words are often used to emphasize aggression as well. Vappu and Juhannus- could there be more finnish way to celebrate? 1st of May. That´s when the spring and “early summer” officially starts, no matter what. The actual weather doesn´t mean a thing when thousands and thousands of people wander to parks to have a picnic after previous night´s massive celebration. But what do people celebrate every year? First of all it marks the end of long winter. After months of darkness and cold it is time to come out from caves and celebrate the light and coming summer! And really, the actual weather on 1st of May doesn’t mean a thing at all. It doesn’t matter whether the sun is shining or it´s raining wet snow, people still go out to have a picnic or at least on marches that are held on that day across Finland. 1st of May, Vappu in finnish, is the celebration of the workers and that´s why the name ”Labour day”. can be used also. It has been a political celebration, specially in 1970s among the left wing party. Political climate has changed during the decades and now the most visible group of celebrants are the students with their colourful overalls and white student caps. You can see those caps on other people´s heads also, it is traditional and annual way of celebrate your high school graduation. If Vappu is the celebration of the end of coldness and darkness, the summer officially starts with Midsummer Festival- Juhannus! It is held during 21st-23th of June every year. While people march on streets and gather together into parks on Labour Day, Juhannus is the time when most of us go to cottages with family and friends, have a sauna, swim in the lake and grill sausages. But traditionally there´s a lot of bonfires that are lit across the country to gather people to be together for a moment and enjoy the Midsummer´s nightless night. One of bonfire´s original reasons was to keep bad spirits away from the area, today it is assumingly more an old tradition that people want to keep alive. If a Finnish person feels like they have nothing interesting to say, they stay quiet. A question like “How are you doing?” usually is taken very literally in Finland. 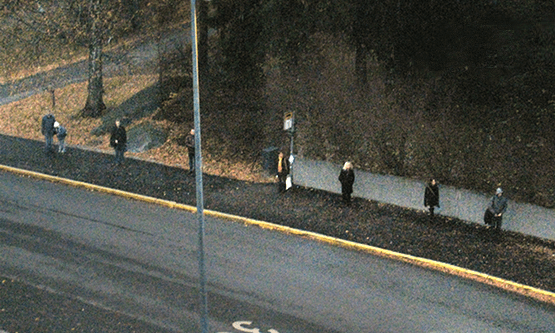 My favourite examples of Finns trying to avoid small talk is the classic bus stop-situation. It’s like we almost have an internal ruler inside us since every distance between strangers is almost precisely the same. Just close enough to be in the bus stop-area but as far away from disturbing someone elses personal space/letting someone else disturb theirs. Still, even though Finns are quite limited in their day to day-conversations to other people, you can guarantee you will always get a quite honest answer to everything, but in a way that doesn’t necessarily offend you. 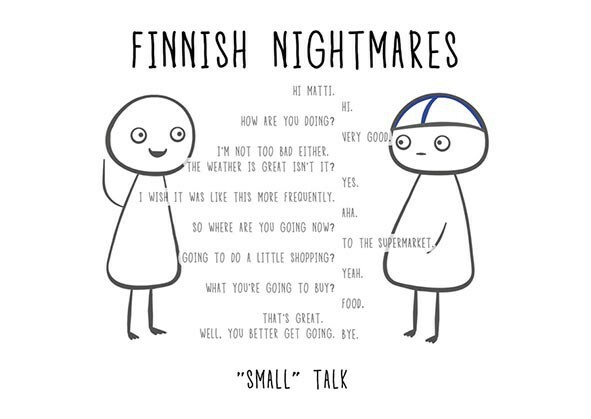 Finns have a good backbone and even though we don’t always have time for small talk, you’ll know when a Finn likes you. Days in Finland can be rough, considering it’s dark and cold outside most of the year. You go to school/work its dark and when you get back home it’s still dark. During the day there is a slight chance of sunshine, but even if there is, you aren’t there to see it. But people here push trough that every day of the week and that’s something that I like to call Finnishness. Just the perseverance that you see in day to day life. Although the winter time is tough, it’s also very beautiful. When ponds freeze, you grab your skates and go to the nearest rink or track. Maybe go skiing in the forest where they take good care of the skiing rails and make the outdoor activities possible. Spring is beautiful time when daylight starts to last longer, and land is all white of snow. People are getting more and more friendly as the summer is getting closer. That’s something that Finns are looking for the whole spring. Midsummer evening is called “nightless night”, because that day the sun doesn’t set at all. Meaning that the sun is up around the clock. That’s why you should stay up all night celebrating with your friends and family. Drinking and eating well, going to sauna and taking a swim at the sea or the lake. Usually these parties take place at someone’s summer cabin. Most people in Finland have cabins where they like to spend time especially in summer. Four seasons make Finland so beautiful. You can really feel the magic in the air when leaves are changing colors and you see the summer turning to a fall. In the fall the forest is filled with fresh berries like blueberries, strawberries, rasberries, etc. and it’s a everyman’s right to pick a bucket full of them. Sometimes you see sunshines and rainbows and other times leaves of all color blowing in the wind. Nature is one thing that makes Finns Finns. Sauna has always been one of the most important cultural “attraction” for me here in Finland. When I was living back in my childhood home I used to go sauna almost every day. Nowadays I try to go at least once a week. Sauna is a lot of things for different people, for me, I is place to clear my head, take a deep breath and sort of meditate for half an hour or more. Sometimes it is a place to have deep conversations with my friends, sometimes just to have a beer or two. For some people sauna is a important part of a cabin vacation or part of a swimming in a ice cold water hole. Some people go to sauna to whoop each others backs with branches of birch and drink more than just one or two beers. Sauna has also lots of health benefits. I is good for your blood circulation, heart, lungs and skin. So with that beings said sauna is basically win-win-win-steam box! Some Finns and most of the people for abroad don’t get the concept of sauna at all but for me it is really special place to relax not only your body but your soul as well. Finland is a very beautiful country and I think it reflects on our relationship with nature and animals. There seems to be a general respect for the forest and it’s inhabitants. Hiking and trips to nature are a normal thing to do. Of course the city folk won’t have the same opportunities in everyday life like the people in the countryside do, but the forests and the hills are never far away. I guess that is one thing about our country that I really admire. Having visited other countries and their capitals, seeing an endless sea of buildings and roads is impressive but kind of sad at the same time. In Finland you will rarely see a place that doesn’t have some form of nature in the horizon. This kind of close proximity makes it a normal thing for us to see forests everywhere. I often find it funny how amazed Chinese tourists with the Finnish nature, but I tend to forget that they usually come from some of the largest urban areas in the world and this is something they might not have seen ever before. Our country is a beautiful place and it should be preserved at all costs to give future generations the ability to enjoy nature like we have been able to so far. Maybe our past generations living mostly alone or in small farming communities for centuries contributed to our culture of being solitary and quiet. Silence is golden here, and words don’t have to be used if they are not needed. I think is connected to the whole forest thing – it’s a place one can escape the chaos of modern life to both literally and figuratively breath in fresh air to refresh oneself. At least for me it is important, like a temple of trees where no one will bother you and your thoughts can run freely. Hiking, biking, camping and natural parks are a big thing and they all offer this escape to the ones who yearn for it. I believe all that is in the core of the Finnish spirit, to be content with what is around you and respect it. Apart from the obviously common Sauna, I want to introduce two favorite indulgences by the Finns – the bitter, slightly acidic, lightly roasted black coffee and the sweet, buttery, cinnamon-flavoured korvapuusti. The combination of sweet pie and bitter drink for an afternoon enjoyment reflects the Finnishness cherish for life. Finns love coffee. According to the International Coffee Association, each Finn consumes 12 kilograms of coffee per year, or 2 – 3 cups per day. And the beverage is enjoyed by everyone: a college student who needs to meet his assignment deadline, a worker who needs a boost to kick-start his day, an elder who wants something to savor with her cake in the evening. In Finland, all people in working life are blessed with two legal 10-minute coffee breaks. And with a lunch break, it is understandable that 3 cups of coffee every day is normal for the Finns. The reasons for Finnish affinity for coffee remain inexplicable. Some people attribute their love to sentimental connections, as coffee appears in all sorts of celebrations or ceremonies: when a baby is born, Finns drink coffee; when a student enter College or graduate , Finns drink coffee; when people marry; Finns drink coffee; when one gets a promotion, Finns drink coffee. Coffee is attached to Finnish daily routine and significant memories. To accompany their love for the dark caffeine drink, the Finns accompany a cup of coffee with a sweet buns. They have special term for this: pullakahvit. Usually, the bun is a korvapuusti – a pastry of flour, sugar and butter, cinnamon, and a dash of cardamom, sprinkled with large crystal of nib sugar on top. Co-founder and baker of artisan bakery Helsinki Homemade, Klaus Ittonen added “The special ingredients of the korvaapuusti is love…. The korvapuusti needs to be made with love in order to get it right. It sounds a bit silly but that’s the way it is”. Pullakahvit, coffee and bun, every afternoon is the Finnish highlight of the day. “An enjoyment that brings back memories from people’s childhoods… Good coffee paired with a homemade korvapuusti makes the world a better place” Ittonen shares his passion for this Finnishness. 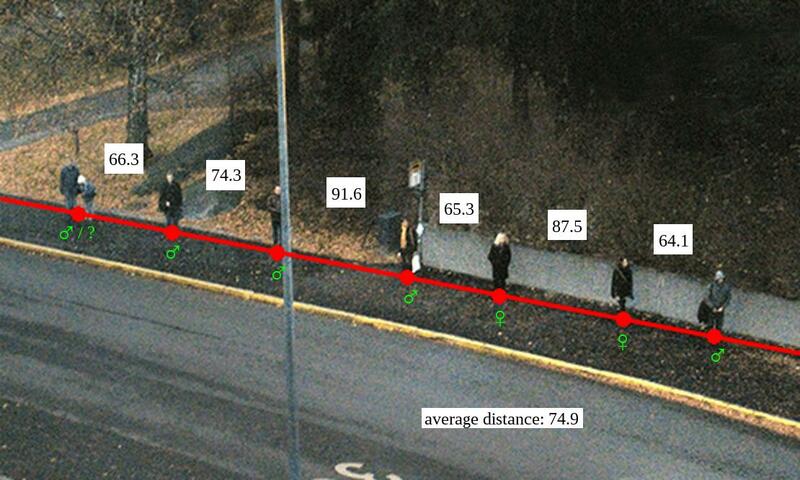 Finnishness means actions and thoughts what Finnish people have daily. We all are individuals who have their own experiences about Finnishness but still together we create a nation which has common features. Everyone shapes and maintains Finnishness by their own personal way. One unique characteristic of Finnishness is a Finnish language, which is divided in various regional dialects. Finnish is spoken by about 4.9 million people, most of whom reside in Finland. Most of the population of Finland speak Finnish as their first language. Finnish people are always so proud of their own language and how it have kept the position through the history. Finnish language has a very rich nature related vocabulary and for example it has dozens of different words for snow. Finnish language does not make difference between genders. The most noticeable is the gender-neutral hän which means both ‘he’ and ‘she’. Finnish uses compound words, meaning words which are combined into one rather than written out individually. This has given birth to one of the longest words in the world at 61 letters, lentokonesuihkuturbiinimoottoriapumekaanikkoaliupseerioppilas, which means ‘airplane jet turbine engine auxiliary mechanic non-commissioned officer student’. The word is used basically never. Finnish music can be roughly divided into the categories of folk music, classical music and popular music. Every Finland’s Independence Day I listen to Finlandia composition by Jean Sibelius who is the most famous composer from Finland. The compositions of Sibelius describe Finnish mentality and psyche so well. The folk music of Finland is typically influenced by Karelian traditional tunes. Also, many Finnish traditional stories are from that area and they have been passed on through several generations by singing the stories. The music has always brought the people together, maybe that is the reason why we like to sing karaoke so much! Although I do not like hot weather in summer and the darkness drives me crazy in every winter, but at the same time I value the variety of Finnish nature and its annual cycle. Every season has its own specialities and possibilities. The annual cycle has also shaped people. Winter is a time for calm down and rest up before a new starting year. There is nothing better than put on woollen socks and sweater, light the candles and enjoy the calmness. In summer the life is totally opposite. People are full of energy, because nights are bright and there is plenty of light. My American relatives used to always make fun of the Finnish food culture. Until I moved to the States I thought Finland doesn’t even really have food culture – not at least if you compare it to France, Italy, Spain or many other countries where socializing circulates around meals. Until then Finland to me seemed spicules, tasteless and pretty boring – like makaroonilaatikko. Nothing culinary like croissants, tiramisu or crème brule. But living abroad I started to miss the things I had never really valued in the everyday menu back home. Karelia pies, Roneberg tarts, mämmi, meat pies and carrot casserole. My American mom asked me to make some of those treats for the family, but I resisted. One cannot possibly eat laskiaispulla in July or prepare the Christmas specials around the year. And I had no idea where to even begin with making mämmi. So this is where my family came up with the idea to make a cook book with 365 Finnish meals – one for every day of the year. We haven’t put our vision into action yet but if we ever do, we should state very clearly in the beginning of the book that breaking the tradition by eating our delicatess during any other time of the year than when they are placed in the Finnish calendar is very forbidden. Finnishness to me is also a lot more than just something to digest. I learned to appreciate the Finnish honesty after living abroad in countless of countries where small talk often led to empty promises of “yeah we should totally do something together someday” or “of course you are welcome to visit anytime”. Finns are not the type of people to talk to keep warm. I personally like a little chat here and there but knowing that I can sit next to my friend in a car for an hour and not say a word without it being super rude makes me feel easy and relaxed. At times I think Finnishness is maybe a bit unsocial but on other times I like the “nii joo mmm” kind of conversations where you can go forever without really saying anything. I think to Finns, communication is a lot more than just hallow words. And that Finnish-typical honesty and humbleness that the Finnishness in me has created, I want to carry out to the World with me no matter where I go.